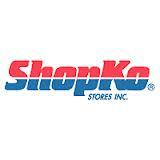 Aberdeen SD Shopko is closing 39 stores in 14 states, including several in the four-state region. The Aberdeen American News reports that, liquidation sales are set to begin Friday, and the stores will close at the end of February, according to a variety of media reports. All of the closures are Shopko Hometown stores except the one in Nebraska, according to a list that has been published online. In Minnesota, stores in Mahnomen and Paynesville are set to close. North Dakota store closings include Oakes, Stanley, Lisbon and Mayville. Four South Dakota stores to close are in Redfield, Wagner, Webster and Dell Rapids. The Mauston, Wis., store is also on the list. The company has confirmed the closures.